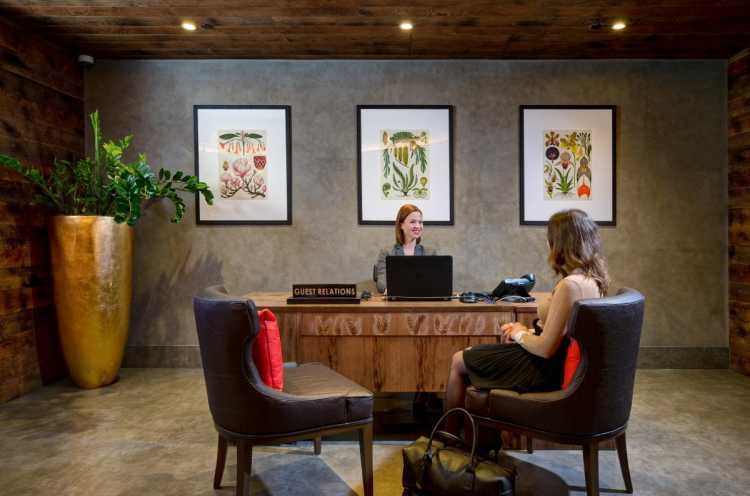 The full vegan experience begins the moment guests enter the London Hotel where they are greeted with a specially designed plant-based check-in desk with upholstered seating made from Piñatex. The suite features a large bedroom, sitting area and bathroom and utilises Piñatex where suitable including the headboard in the bedroom and cushions in the sitting room which feature beautiful embroidered pineapples by local artist Emily Potter. Piñatex also features in armchairs, pouffes and in fact, even the hotel room key card is made from Piñatex. 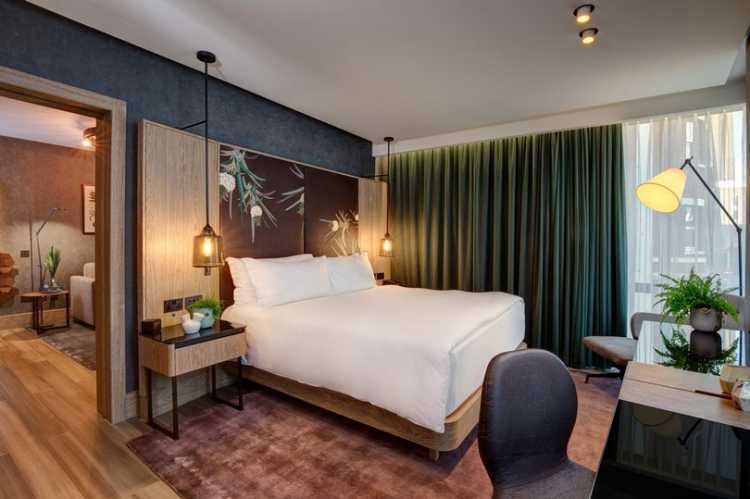 All furnishing and aspects of the suite were consciously made using environmentally-sourced materials, such as buckwheat and kapok pillows, soy-silk curtain, flooring made from 100% renewable and sustainable Moso bamboo and even the toiletries are made with recycled packaging. The Vegan Suite’s creation was announced to coincide with Veganuary, a challenge where for the month of January you’re encouraged to try a vegan diet. With that in mind, the in-room mini bar features only locally sourced plant-based snacks and the Hotel’s Oxbo restaurant introduced a tasty vegan menu. 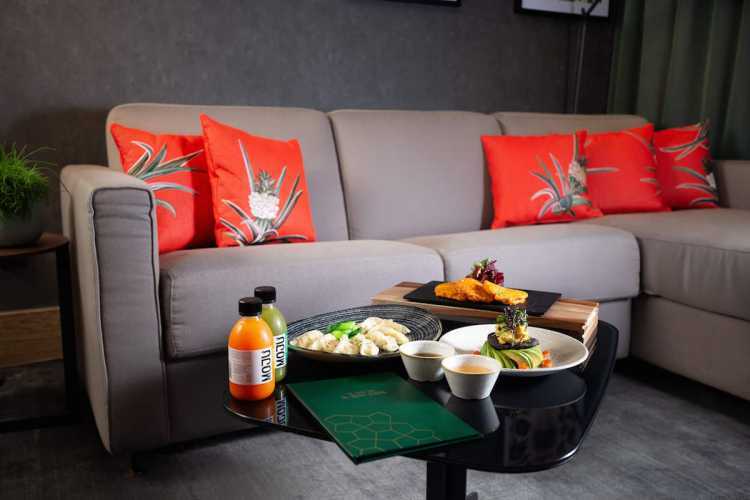 Book a night in the Vegan Suite at the Hilton Bankside here.